Nothing too much changed since last time - she's still very large and in the 90th+ percentile, although growth has slowed down a bit (normal for this point). She definitely has a giant head. Ok, now I've confused myself. See? The doctor WROTE IT OUT. That means it can't be wrong and you must accept it as fact. 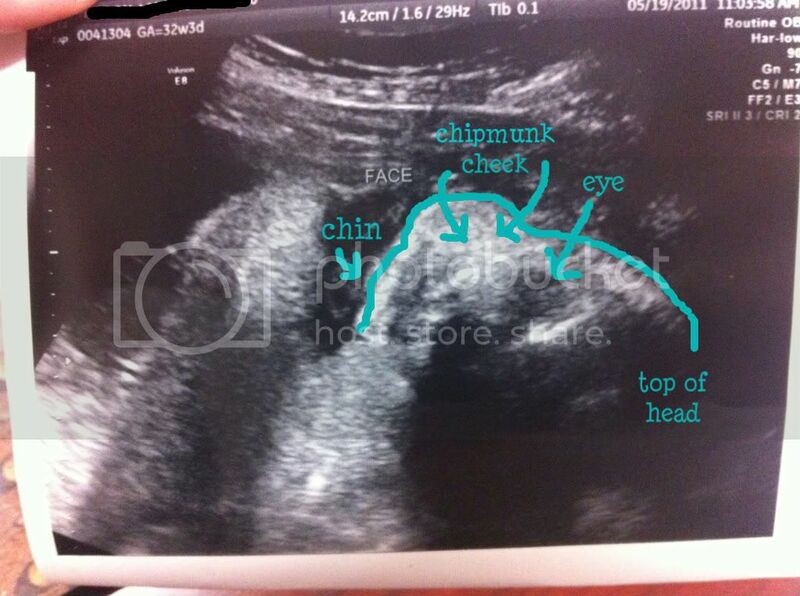 The white curved lines at the top and bottom of the pic are skull bones - this is a cross-section view of her head. 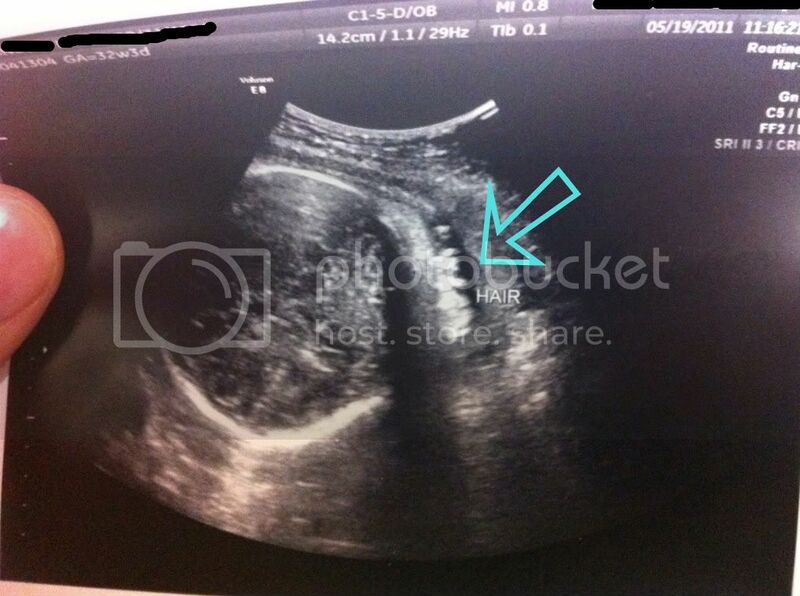 And apparently that white pointy stuff is the hair floating around in the amniotic fluid. I am assured that the hair covers more than one inch of her head but we'll see. I'm kind of excited about this because I love babies with crazy hair so I hope she really does have a bunch of it. If you can't see it, that's okay. I actually just marked random sections of the picture as body parts and they may or may not be correct. This could just as easily be a picture of a sea urchin. Oh wow. WOW. WOW and YAY!